Dragon and The Deep Sea Show! That’s right! 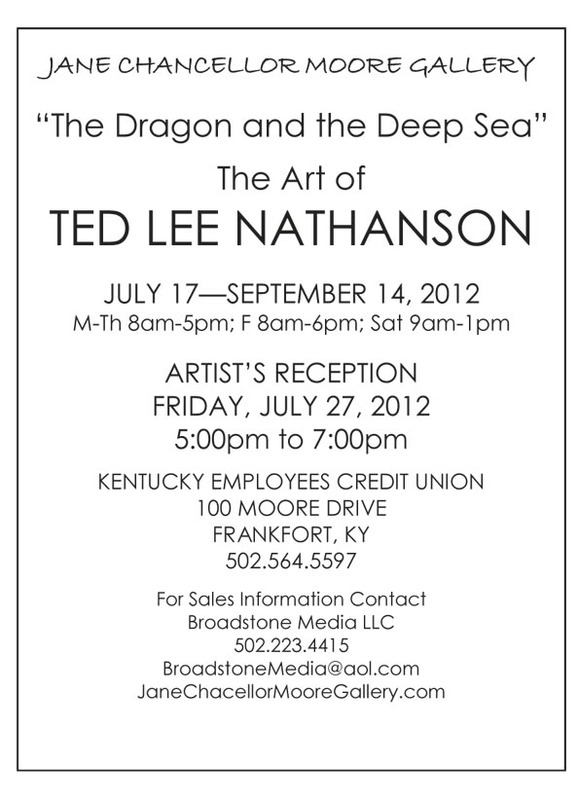 the pages from the Dragon and The Deep Sea #1 are up for the rest of the month at the Jane Chancellor Moore Gallery in Frankfort KY! The pieces in this show are parts of a whole. Individually, they could be described as figurative illustrations finished in ink and marker on 11”x17” Bristol paper. Some of them are better designed than others, some feature more interesting moments, but all contribute to the one truly finished piece in this show. That finished piece isn’t on the wall, but in the rack filled with comics, and its called The Dragon and The Deep Sea. 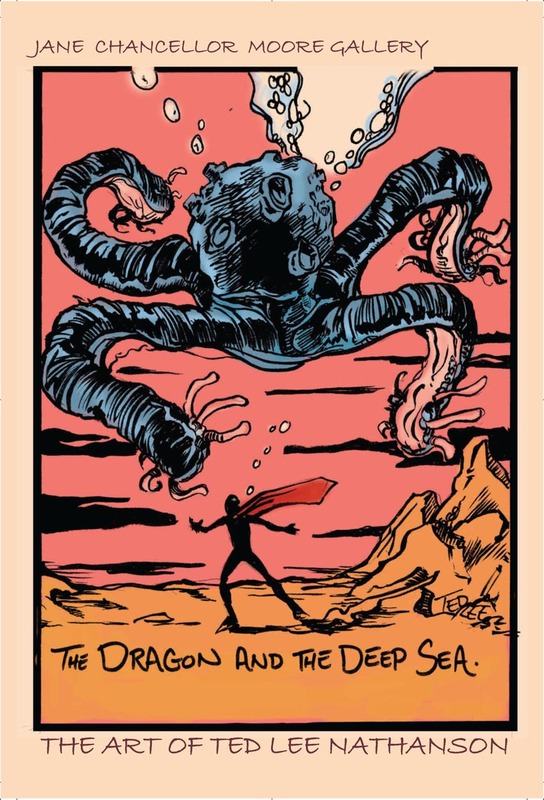 The ideas and characters in The Dragon and The Deep Sea started life as part of a book project called Travels, and were little more than a vague conceptual underpinning for image creation. The Frog-Man, the Scientist, the Aviator, their boat, and the open structure of the world they live in were developed almost abstractly for years, before they started telling me their story. And I decided to tell that story through this medium that I love, comics. I’d like to resist explaining the story- if I’ve done my job correctly it’s all right there on the paper. Please take a minute to look through it. The magic of comics, like any story, happens when all of the component parts- the images and text- give way to narrative. And comic magic, like all proper magic, needs an audience to complete it.